How many triggers exist in your database? Can you classify them into INSERT, UPDATE and DELETE triggers? Is the trigger an INSTEAD OF trigger? 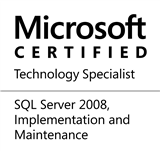 This entry was posted in #SQLServer, Blog, Imported from BeyondRelational and tagged #SQLServer on May 13, 2013 by nakulvachhrajani.